As we headed from Beaver Dam State Park into southern Illinois, I reviewed our options for the night’s stay. We had been to Fort Massac State Park at the base of Illinois and knew that it was an option. It was $20 for a weekend night, electric only, back-in sites. The sites at Fort Massac haven’t been upgraded in some time (an doubtfully will be with Illinois poor financial state). With the steady rain we were a bit concerned about the amount of mud we’d have to deal with in the state park. It just so happened that there was a park, Duck Creek, at I-24, exit 11, once in to Kentucky that was $23 with Good Sam’s but was full hookups, wifi , a dog run, and pull-thru sites. We decided to drive the additional 15 minutes and spend the extra $3. Doing this without www.rvparkreviews.com to check is always a bit worrisome for us but for one night’s stay we decided to take the chance. It had been rainy and windy the entire trip and Ken just wanted to pull in somewhere and stop with as little hassle as possible. Duck Creek was definitely the right choice. It is an older park with no ‘it’ factor, but with very friendly and helpful owners and very easy on/off access for an overnight stop. The dogs loved having the fenced dog park to run in since its very seldom they get to be outside without a leash. They were like little kids racing each other from end to end, and just generally frolicking. I’m hoping since this seems to be a frequent route for us that we’ll happen through here again at a time when the owner is having one of his park jam sessions which apparently are almost every night during better weather. He both plays and carves beautiful dulcimers. I love to listen to them and have even toyed with the idea of picking up playing as a hobby. Really wanted to learn piano but they’re not as easy to carry in the RV!! As far as Ditka was concerned this park was heaven. Besides the dog park, a feisty cat put on a show for him on the front dash of the motorhome next to us. It was hard to get him to leave that front row seat he had. Duck Creek had free cable but once again Ken had problems getting it to work. He’s pretty certain there is something mis-wired in the coach since we’ve never been able to use a private park’s cable. It really made no difference since we could get network channels and both of us were spending quite a bit of time on the internet. In fact, in doing his online finance work, Ken found that Discover had mis-applied a payment on my account to his account and I now showed a $40 late fee. We pride ourselves in always having paid of credit cards in the month of the charge and never having paid late fees or finance charges so this really got him going. He went back and pulled up the online bank documentation showing the check had cleared and that it was marked for the correct account. It was a Sunday night but with both of us on the phone and internet it was resolved, the moneys re-applied correctly and the late fee removed all in about 15 minutes. Good to be able to prove we have the tools to monitor, research and correct these things from the road. We cooked salmon croquettes, Velveeta shells and cheese, and canned green beans for dinner since we hadn’t restocked our fresh meats and veggies. I know that doesn’t exactly sound like a Weightwatchers meal but we use olive oil vs butter for cooking the salmon, and 2% shells and cheese so I stayed on program, not having eaten much but fruits and a sandwich on the road all day. I was also able to get in a Nordic Track session to help offset the minor excesses!! In January I was able to get 6 activity points for 33 minutes on a ski machine. As I lose weight, the amount of time needed to get 6 points goes up so I now have to do 37 minutes –kind of a negative motivation!! Also, in January I was allowed 24 points for food per day. Now I’m down to 22 so I get to eat less and have to exercise more the better I do on the program….doesn’t quite seem fair even if it does make sense! We usually try to keep about 3 days of fresh meal items on hand but try to keep several boxed and canned meal items on hand also so that we don’t have to hit the grocery store if it’s inconvenient. It also takes away the excuse that there’s nothing to cook so we have to go out!! It didn’t turn out to be the best night for sleeping since a strong spring storm with heavy rain, lots of lightning and thunder passed over about 1a.m. Sox went in to a panic as usual with storms and insisted on pacing between Ken and I on the bed, sitting on our heads. Monday, we enjoyed a lazy start up, since it was still raining and we knew the weather was moving in front of us. By the time we got back on the road at 11am the rain and winds were gone which was good since Ken was driving on less than a good night’s sleep. There was a large gas station next to the RV park with reasonably priced diesel, $2.89, so we filled up before getting on the road. Tomorrow, I’ll post the promised blog on how I’m using my Kindle for internet access on this trip. 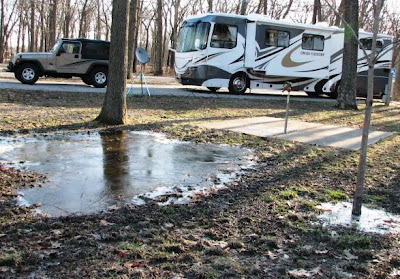 On Wednesday, March 27, we packed up the motorhome and hit the road again after 4.5 months sitting out the very LONG winter in Quincy, IL. Our first stop was Beaver Dam State Park near Carlinville, IL. While it was an uneventful 2 hour drive we were glad to see that the park restaurant was open since we wanted to treat son, Kyle, and his fiancé, Jenni, to dinner after they got off work but it was a bit chilly to cook outside. Neither Ken nor I were much in the mood for cooking inside. The park restaurant usually has a great homemade plate lunch special each day and today was no different with country-fried steak. The weather was nice enough that we were able to eat out on the deck of the restaurant overlooking the lake. Kyle and Jenni headed back in to town to get in a workout while watching the basketball playoffs. I pulled out the Nordic Track and got in my workout while Ken tinkered with tuning the local channels in on the antennae. Wouldn’t you know it, we could get everything but CBS for basketball. I’m sure the nasty turn in weather didn’t help. It started raining Wednesday night and kept up steady through the day on Thursday. We used the time to do some RV cleaning, then met Kyle and Tom, one of the law partners for lunch at the WoodDuck. Kyle asked us to drop by the house to let Staley out. It was good that we dropped by when it was so windy as Ken was able to find an obscure whistling noise on the siding of the house and then drop by the handy nearby Ace hardware to pick up some items to fix it. We then did a Walmart run to grab items for an evening meal. The weather, once again, deterred our plans to grill out so instead Ken and I took over Kyle and Jenni’s kitchen to do some pan seared salmon, roasted red potatoes and steamed veggies. Kyle and I did much better on our weight watchers points this night!! Again, we split up after dishes for them to go to their workout and us to get back to the RV for me to get in my Nordic Track workout. I had my annual physical on Wednesday before we left. My weight there showed that I have now lost 21 lbs since the beginning of the year so I really want to be careful to stay on program for this trip. Kyle seems to be fighting a plateau at the 30 lb mark so he is really trying to kick in the exercise as well. After a full day of rain, the weather turned even worse, cold and blustery for Thursday evening. While we do use Ken’s P20 disability card for $5 off weeknights in Illinois parks, we do not normally take the handicap sites leaving them for folks that have serious mobility issues. However, since there was no one in the park when we pulled in and we knew there was a lot of rain coming we decided to take a handicap site since those sites had lots of asphalt meaning much less mud. We are sure glad we made that decision because by Friday there was a lot of standing water. In fact, Friday morning, the standing water near our site was all frozen. By mid-day Friday, the temperatures began to warm a bit in time for the arrival of son, Trevor, his lady, Leah, and their 9 month old Staffordshire bull terrier, King. This is another dog that Trevor ended up ‘fostering’ when a football player received it as a gift and had no place to keep him. Since our dogs are not real keen on other dogs, we had told Trevor that so long as he planned on coming back to our house in Quincy he couldn’t keep a dog. Leah volunteered to take King home over Christmas and King found a way in to the Sobut family over that holiday so he is now officially adopted by Leah’s mom and Leah. Little 20 lb Sox was not at all happy to have that 60 lb puppy in her territory so we had to put King in his crate while the four of us went down to the park restaurant for the kids to get a late lunch. Since Ken and I had already had lunch we were tempted to pieces of their homemade pies. I had multi-berry and Ken had caramel apple...yumm….ok, not on weight watchers but I had 12 activity points saved up for the splurge!! 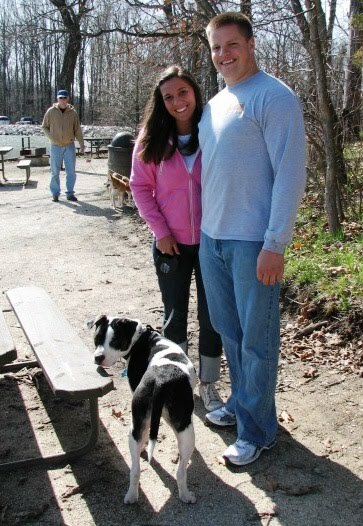 We took the dogs for a walk down by the lake after the meal. We’d hoped to walk around the lake but the trails had so much standing water that we decided to head back up to the roadways. Kyle invited Trev and Leah to join he and Jenni at a local pub at 5pm where there was to be a gathering of various Carlinville judges and lawyers so Ken and I took a break during this time to sit out in the sunshine that had finally shown up and catch up on our reading. We joined the kids at about 7pm at the Lucky Dog on the Carlinville square. We then took the kids to the Salsa Grill for dinner. Ken figured Trevor would want to cash in on their Friday night all you can eat rib-eye which he did having 3 steaks. Unfortunately, the service and the food did not live up to our prior experiences so I’m afraid I’ll not be recommending that establishment again. Leah and Trevor were already yawning and the restaurant so after one more drink at the bar, that foursome headed off to Kyle’s for the night while Ken and I headed back to the RV, for a dog walk, a check of the basketball scores and then bedtime. On Saturday, with the weather still nippy, we gathered up materials to cook breakfast and headed back to Kyle’s. Ken made everyone a great big breakfast. While he was cooking I checked emails and entered my weightwatchers journaling online to catch up for 3 days without internet. Unfortunately I hadn’t had time to write a post yet so I don’t know when I’ll have internet again so that I can post this!! After breakfast, Trev, Leah and King then headed off to spend rest of weekend with Leah’s mom in Palos, IL, while we headed back to the motorhome. It was 2pm when we were on the road again, heading for our next stop, Metropolis, IL. Normally we’d like to be stopping at 2pm instead of starting a drive at 2pm but these are roads we know well and we’re glad we got to spend the time with family since it will now be 7 weeks before we see them again. Ken has been so busy working to a stopping point on his remodeling, doing things to prep the house/yard for our time away, and then getting the various 'man jobs' done on the motorhome that he told friends last night he will know where we are going on this trip when I finally post the itinerary on the blog! The furkids are obviously anxious to get back on the road again now that the weather is better. 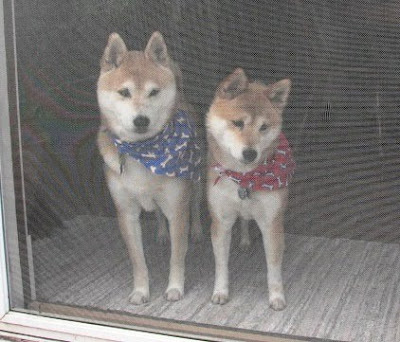 I took this picture after they returned from being groomed and I wouldn't let them out in the backyard where they thought it their job to dig out any early signs of moles. I think I'll call this picture "All Dressed Up and No Place to Go!!" As I mentioned in the last blog, I was a bit hesitant to publicize to much about itinerary, but now that I know Trevor will be here to housesit I feel much better. 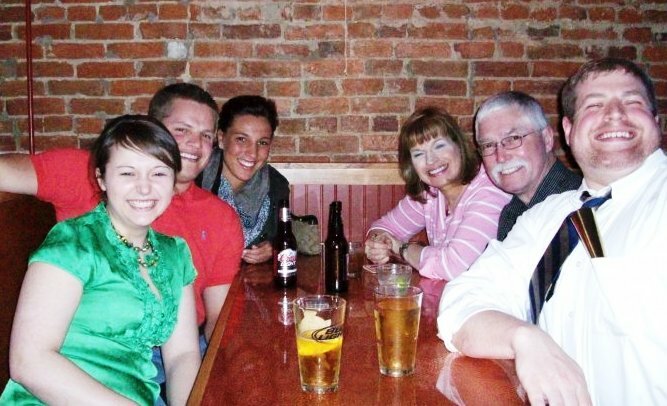 Trevor just returned from his final college spring break in Sarasota, FL. I think he may need some home time to recurperate!! Our overall travel plan is noted below. I'd love to hear from anyone who can provide any info on special stops, campgrounds or areas not to be missed along the route. With a few exceptions where we've made advance reservations, we are being very flexible on how the actual will compare to this plan. 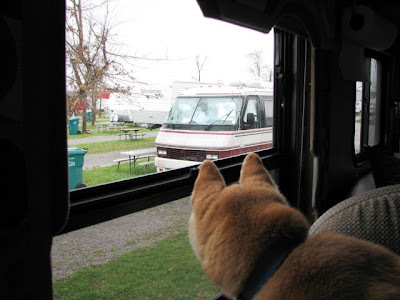 It's our intention to generally follow the RVers rule of two's: Driving about 200 miles, arriving at our next destination by 2:00pm and staying at least 2 days. 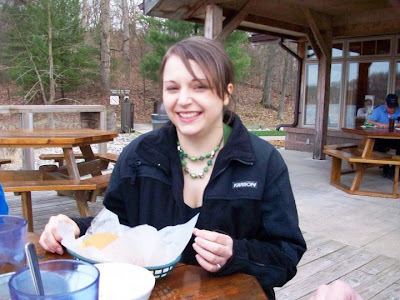 Stop 1: Carlinville, IL - Beaver Dam State Park - Carlinville is where our son, Kyle, lives along with his fiance, Jenni. The state park there is wonderful and an easy drive in and out of town. We plan to spend enough time here to help with any spring fix-ups Kyle might have on the list for their house and maybe go with Trevor for the day to check out apartments in Springfield. Stop 3: Carthage, TN - Defeated Creek COE, we are planning to attend an informal autumn RV rally at this park the week after Kyle's wedding and so are thinking we will stop here for a few nights to get a feel for the park and decide on which site we'd like to reserve for October. This is also close to where our Cyber-friend, Lisa, lives and so we are hoping we might be able to hook up with her family for an introductory visit while we pass through. Stop 4: Tennessee side of the Smokey Mountains - when we lived in NC many years ago we had to make many trips around an I-40 tunnel collapse that took forever to fix. This time it looks like the October rock slide will still be in our way. All indications are that motorhomes are required to stay on the interstate detour which takes I-81 to I-26 through Johnson City and then back down south. 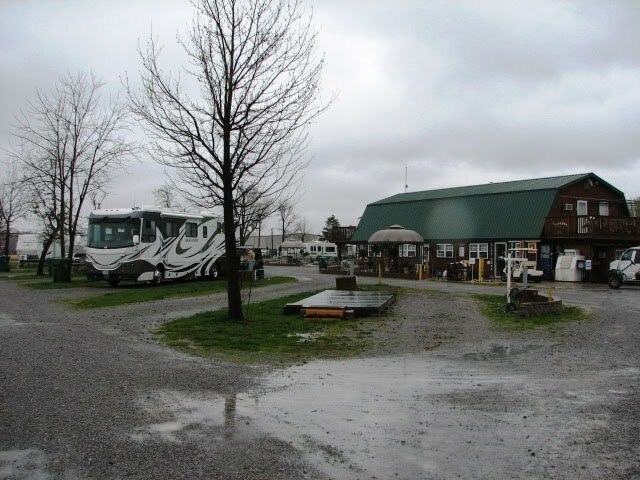 Our current tentative overnight is well-reviewed Baileyton RV Park just off the interstate. Again, we may consider a Walmart or truck stop if it falls in line. Stop 5: Fletcher, NC - Rutledge Lake Travel Park - this is a Passport America park that appears to be nicely located for us to spend a few days exploring a part of the Pisgah National Forest area, particularly some of the Waterfall drives. Stop 6: Dreher Island State Recreation Area, SC - this is where we plan to spend Easter weekend and so have made reservations since we are expecting that to be a rather difficult weekend to find a site. Stop 7: RV-Dreams Rally, Myrtle Beach (Longs), SC - we plan to get the the Willow Tree Resort on Monday so we will have a little down time before the rally starts. I have a great-niece who lives in Myrtle Beach and a nephew not far away so we are hoping to work in a quick visit with then as well. We plan to stay at the resort a day or two after the rally so we can 'recuperate' before hitting the road again! Stop 8: James Island County Park, Charleston, SC - we hear this is a beautiful park and are also looking forward to doing a walking tour of historic downtown Charleston. We'd also like to visit the USS Yorktown. Stop 9: Jekyll Island, GA - appears to have a wonderful campground and a sea turtle center that I'd like to see. Stop 10: Quincy, FL - Flying J, on I-10, overnight stop on our way to Florida Panhandle beaches. It's also possible that if the weather is good and we are up for it we might pull a really long day here and go straight to a beach campground. Of course this Quincy, IL native would like to say I spent the night in Quincy, FL!! Stop 11: Florida Panhandle - maybe Saint Joe Peninsula State Park, or St. Andrews State Park, or if we feel we want to stay more upscale for a bit, Emerald Coast RV Beach Resort - we are definitely looking for some beach time at this point. I really want to be able to take the dogs to the beach with me and understand that some locations like Destin are not dog/beach friendly, so we continue to weigh our alternative here. Stop 12: Rainbow Plantation Escapees Park, Summerdale, AL - although we've been to an Escapade, and consider Escapee's one of our best memberships for our RV Lifestyle, we've never stayed at an Escapees park and hear this is a very good one for the experience. Stop 13: Betty's RV Park, Abbeville, LA - Betty's comes very highly recommended and is ranked as one of the top 25 RV parks in America. We plan on a 5 day immersion in Cajun country! Stop 14 and 15---We have a week at this point to get from Abbeville to Charleston, IL. and expect to make at least 2 more stops in those 800 miles, which will mostly be on I-55, then I-57 North. Any suggested stops along this route would be much appreciated! Stop 16: Fox Ridge State Park, Charleston, IL with arrival in time to make Trevor's graduation. So after this extended excursion will we be anxious to get back home or sad to be coming of the road? We think this trip will tell us a lot about how we fit in to the RV lifestyle. Again, if anyone has any suggestions of things to see or campgrounds to use, we'd certainly love your input. 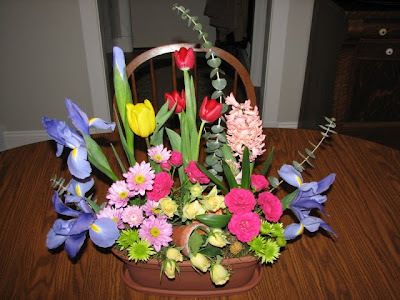 My lead photo is the spring flower arrangement my sons had delivered to me for my birthday. Beautiful!! Thanks, Kyle and Trev!! Kyle and Jenni were here last weekend and it turned out to be a rather hectic visit because they found out that they had to move their wedding date. Jenni's brother, Josh, is going to be deployed to Afghanistan the last week of October so there is no way he would be at a November wedding. Her brother, JP, is currently in Afghanistan, but will be home by mid-summer. Amazingly, they got in to gear and by Monday they had everything switched to an October 9th wedding date. There is a new reception hall, hotel, caterer, etc., but I think it will all be at least as nice, if not nicer with the new arrangments. There's also a greater likelihood of nice weather. Jenni has updated the info on the wedding which can be accessed from the link on our left sidebar. 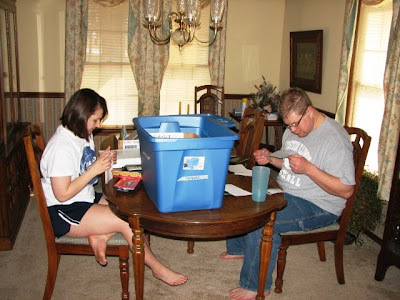 Jenni did convince Kyle to start going through pictures to find some that the can use for slideshow at the wedding. I think they were both a bit overwhelmed seeing we had 4 of these blue tubs full of family photos. After one box, Jenni was pretty sure they already had more than enough pictures! We have few if any videos but we sure have plenty of photos. 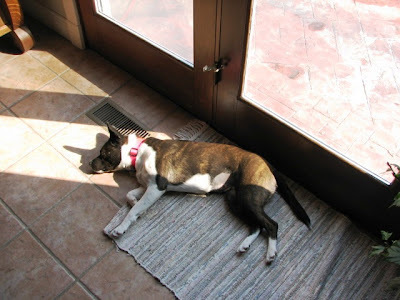 Our grandpuppy, Staley, did not seem to be terribly concerned about all the weekend commotion, having found the sunny spot and warm tile by the back patio! She'd had a tough week. She'd paid an overnight visit to the vet to be spayed. Surprisingly she had no stitches as they now use some sort of glue. So at least she didn't come for her visit with one of those silly funnel collars. However, 'Aunt Sox' was not at all keen on the idea of welcoming another spayed female, especially a now much bigger one, in to her domicile. Poor Staley dealt with a lot of snide little snapping and growling from the old girl when all the pup wanted was to get her to play. I think that's why Staley reconciled herself to pretty much finding a spot and chilling out. The signs of spring were all around. 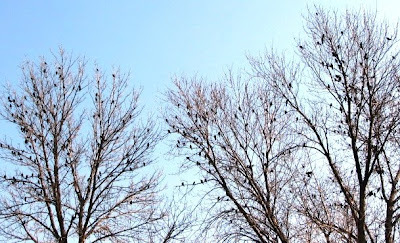 Including the huge flocks of birds that made stops in the trees in our backyard on their way north. Oh, and thanks to those who continue to check in on Kyle and I on our weight loss challenge. As of last weekend, Kyle has lost 30 lbs so far and I have lost 17 lbs. It's really a dead heat between us right now and with the wedding date moving 4 weeks closer we are now pushed to get to goal even faster. 9 weeks down, 30 weeks to go. Ken has completed the ceramic tile in the master bath shower, floor and two adjoining closets. There's still lots to be done but we need to start switching gears and prep for our roadtrip. I've inherited his carpenter knee pads since I'm spending a lot of time now scrubbing down the tile to clean away and remnants of the grout and film it leaves. As we begin to switch gears to planning for our lengthy roadtrip, one thing has panned out better than I'd anticipated. It looks like our 'sticks n bricks' home will be more busy while we are on the road than when we've been home. Trevor dropped some unneeded classes in order to focus on his CPA and so only needs to be in Charleston now one night a week. That means he'll be housesitting and studying here while we are gone. In addition, Ken has his good friend, Bo, who is excellent at remodeling and, in particular, woodworking, coming in during these weeks to keep things moving on the upstairs remodeling. If that's not enough, Ken also has a nephew coming by to do some outside painting. I'm glad this is working out because I was concerned about leaving the house for 8 weeks. Tonight Ken and I venture out to the local Anglican Church for their Fish Fry. This will be our second time attending. No, we aren't Anglican, although I have already learned I should not say we are Catholic since Anglicans also consider themselves Catholic. 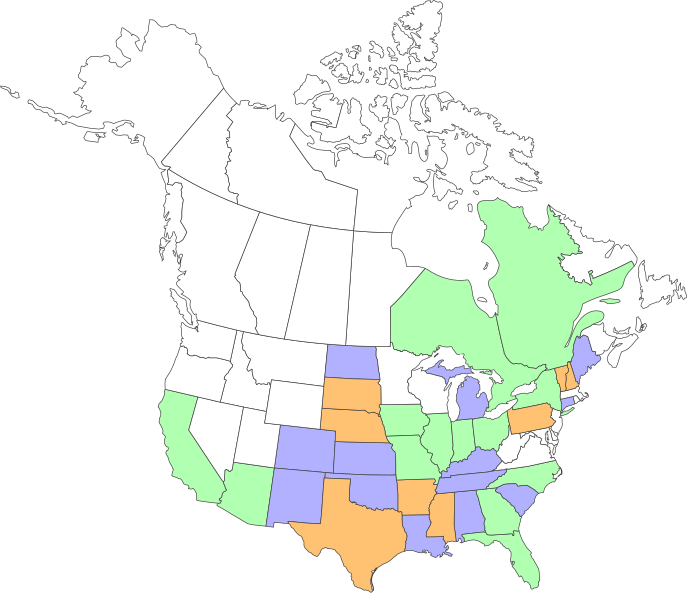 We are Roman Catholic by birth with ties to Unity Church as well. However, my very good friend, Cheryl, whose mother was a war bride from England, is Anglican and invites us. Its the first time I've gone to BYOB church fish fries!! Actually, I was kind of surprised we were invited back since last time I ended up in a lengthy 'discussion' with the Bishop on the origins of the Synoptic Gospels. I seem to be wired much more for seeking, curiosity and skepticism than for traditional faith but apparently he enjoyed the interchange and suggested Cheryl invite us again. I think this time I'll try to stick a bit more to enjoying the meal and less to arguing religion with a bishop!! Time to be off for our evening.